A comedy legend; this Chaplin Accessory Set will sure get you noticed at any Icon or 1920s themed party! 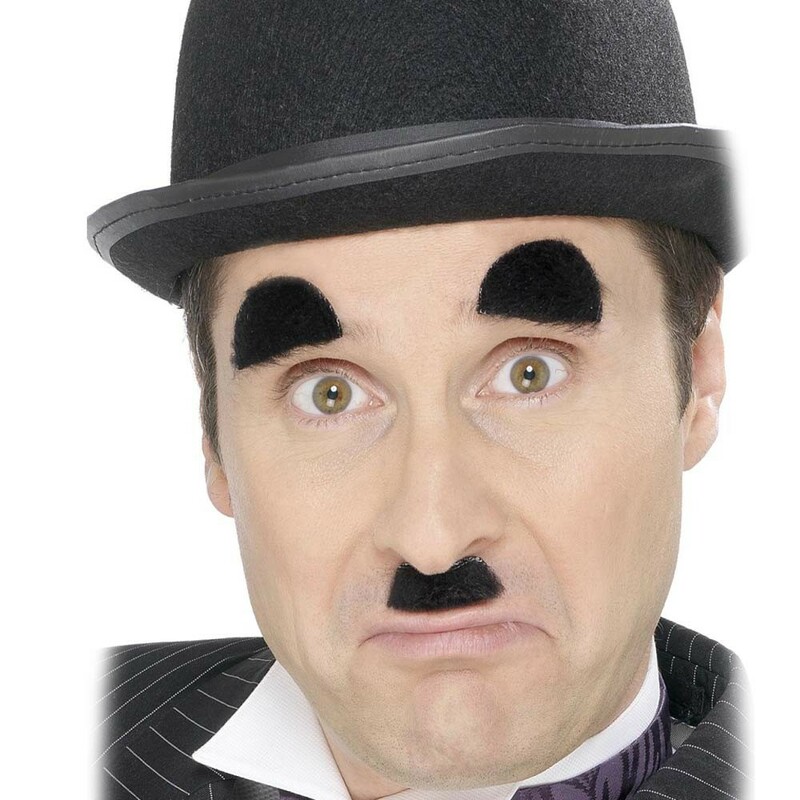 Regarded as one of the all-time comedy legends; this Chaplin Accessory Set will aid you in becoming the man himself, perfect for most 1920s, Film or Icon themed fancy dress occasions. The set includes a small tash in a square shape, this is self-adhesive so easy to apply. Additionally a pair of ‘bushy’ eyebrows are also included, these are self-adhesive also. Stand out from the crowd with this fantastic Chaplin Accessory Set to provide the finishing touch to any 20s inspired look! Available in one size to fit. Please note: Bowler Hat is sold separately.